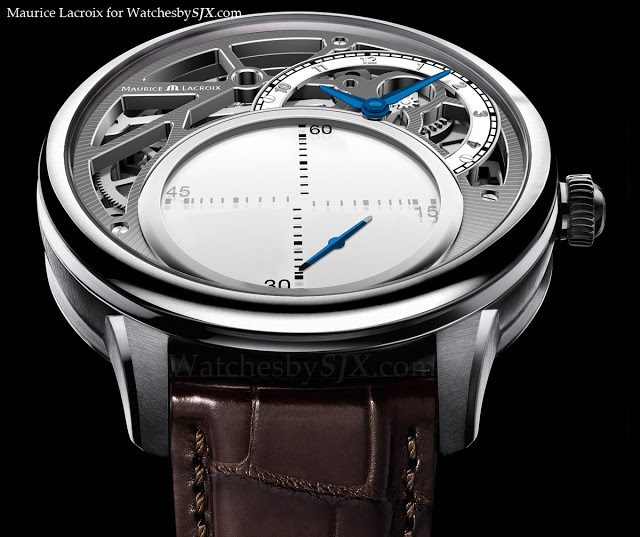 Maurice Lacroix has just announced the Masterpiece Seconde Mystérieuse with an unusual mystery seconds. 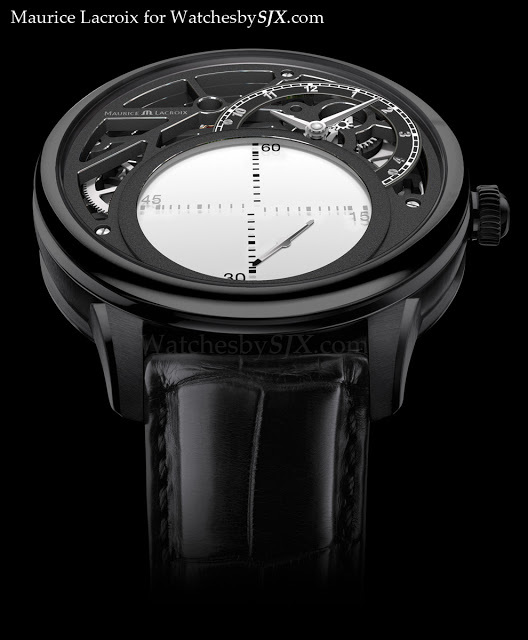 Seemingly floating against a stark white sub-dial, the seconds hand rotates on its own axis, around the seconds sub-dial. 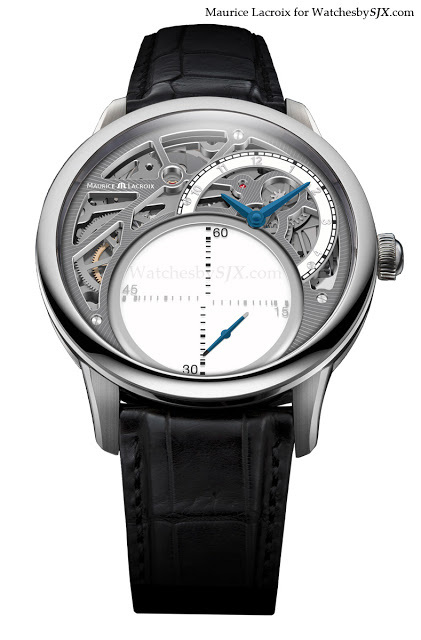 The skeletonised ML215 movement is developed and made in-house, though I believe it uses the gear train of the Unitas 6498. 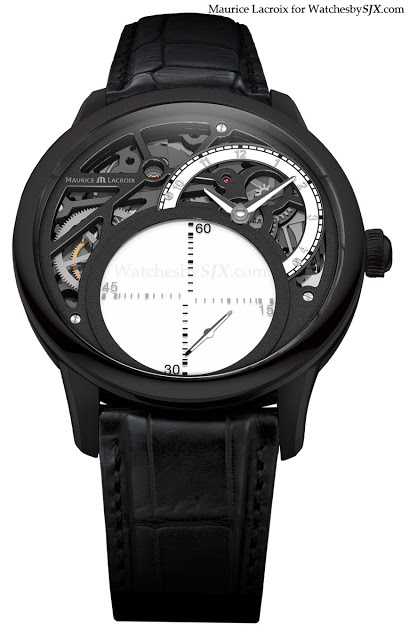 The case is 43 mm and available in steel or black PVD coated steel. The movement finish matches the case, so the steel version rhodium plated bridges while for the black PVD version the finish is ruthenium.